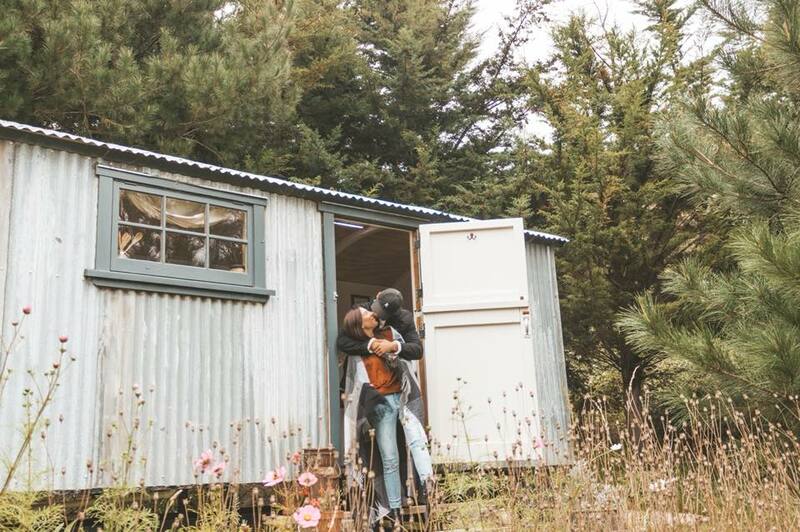 Taylor Pass Hut can be found about 15mins from Blenheim, nestled into a beautiful rural setting along the Taylor River. The hut is like a carriage in style, and although small in size it holds everything you could possibly need. This cosy little spot is styled so cute and is positioned to take in the setting sun at the end of the valley perfectly. The outlook from the hut is simply beautiful, and in the summer time I could imagine it would be very sheltered and warm, so make sure you check out the bean bags hiding within the trees! As the disappears, make sure you make use of the outdoor bath. If it's been a clear day, the sky above you lights up and it truly is such an amazing experience to relax beneath the stars. With Blenheim close by you can pop in anytime for groceries which is super handy, it's also great if you want to visit local wineries or the nearby Marlborough Sounds. With Taylor Pass Hut being located on a working farm, the friendly farm animals will often pop by to say hello. Forrest the Goat is super chatty and loves to have his photo taken lol! The owners of Taylor Pass Hutt are lovely and approachable so if you have any issues at all don't hesitate to reach out to them. With this property only being able to sleep two, it's best suited for couples. The bed is slightly risen from the ground too, so if you have any movement issues it may pay to have a chat to the team prior to booking. Taylor Pass Hut is positioned out of reception like many of the Canopy Camping sites, so if your looking for a little break away from technology, then you will love your stay here.